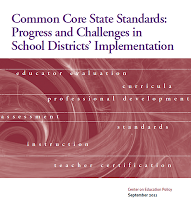 Recently, I have been giving a lot of thought to the probability there will not be an authentic and successful implementation of the Common Core States Standards (CCSS). It will require much more than a first order of change in our nations’ schools. And I am not sure we are up for it. We have not been for the past twenty years, what will be different now? And where does the hope of implementation lie? As of late August, 2011, 44 states and the District of Columbia have adopted the voluntary Common Cores States’ Standards in English Language Arts (ELA) and Mathematics. Despite some of the rhetoric and representations regarding the CCSS, these are not national standards developed by the federal government. 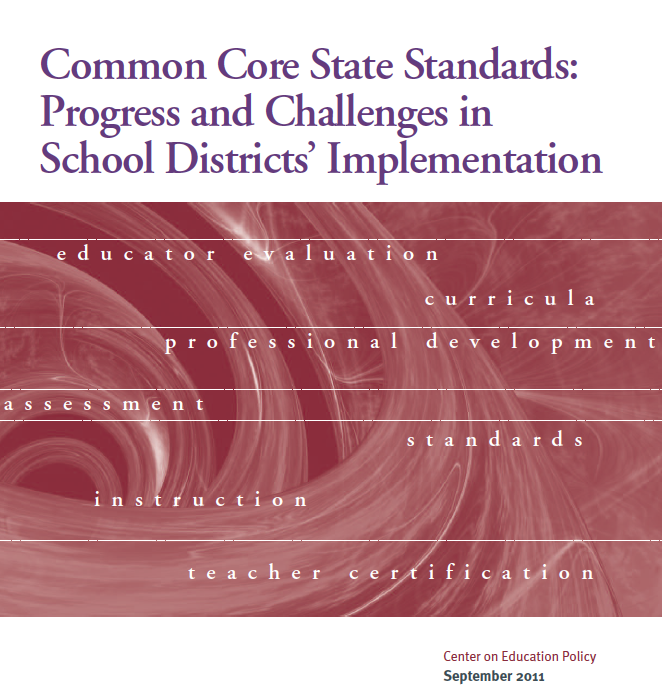 The CCSS K-12 standards for learning were released by the National Governors Association and the Council of Chief State School Officers, in June 2010 with the hopes of creating a consistent set of learning expectations K-12 across the states. You can click here for access to the full set of the Common Core States Standards in ELA and Mathematics and more. The June 2010 release included a commitment to begin testing in the 2014 -2015 school year, and two assessment consortia emerged – PARCC and SMARTer Balanced. A little more than one year later, these state led consortia are beginning the effort to design curricular frameworks aligned with the CCSS for public review and reaction this fall. You can view and review these frameworks and find out more about which consortia your state is a member of, at the PARCC or SMARTer Balanced websites. 1) About two-thirds of the districts in the adopting states cited inadequate or unclear state guidance on the CCSS as a major challenge. 2) Districts appear to face little resistance to implementing the CCSS from parents, community members or educators. These are interesting findings. And they are not surprising. First, many of the states are still trying to determine how to best address the complexities of change that will come with the realized implementation of these standards. Some states are still deciding whether to fully participate in one consortium over the other. Until those decisions are made it is difficult to provide the type of guidance that will be needed and expected at the district level. Second, there is little resistance at this point in time from the educators at the classroom level, because as of yet, nothing has changed. 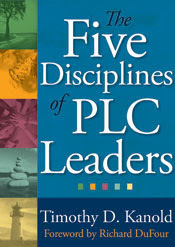 The K-12 teaching and learning of ELA and Mathematics is currently still at status quo stage. I have been in several schools and classrooms this year, and many teachers and administrators at the school site level, either know very little detail about the CCSS or they are vaguely aware that someone from their school or department is on the district CCSS Task force or committee. The expectations of change that will be caused by the CCSS has not yet hit the implementation stage at the grass roots level. You must ask, what will be the primary barrier to the successful implementation of the CCSS and K-12 student readiness by the spring of 2015? Will it be the states' failure to provide adequate professional development and support? Will it be a public outcry that these Common Core States Standards are somehow a bad thing for our Nations’ children? Will it be resistance from the community or parents that we are expecting too much of our children, as we attempt to prepare every child for college and careers beyond high school? Will it be funding? No money to teach using research affirmed instruction or student engaged learning? No money to create formative cycles of learning with student assessments? Will it be the technology? It won’t live up to the promise of on-line assessments? Will it be that the standards of the CCSS are just too rigorous for all children? 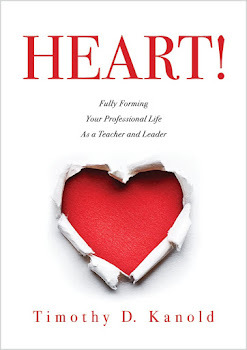 Our profession of teachers and leaders just cannot deliver on the expectations of the CCSS? Will it be that we should not expect the same standards of learning in California as we do in Illinois or Pennsylvania or Louisiana? Ultimately, it will not be any of these factors that will derail the successful implementation of the quality K-12 education described by the CCSS ELA and Mathematics expectations for our nation’s children. It will be our failure to understand that the authentic implementation of the CCSS requires the most essential elements of 2nd order change. At least in my field, and in my leadership sphere of mathematics, there is almost nothing in the CCSS that we have not been inviting the educational community to change toward, since 1991. Twenty years! The successful K-12 teaching, assessing and learning of mathematics has just not penetrated into all of our nations' schools at a deep change level. What possibly makes us think the CCSS will end this era of invitation to change? And if it is to end, what must every educator do in order to help children learn well? Formative Assessment: Ready... Set.. Action!